I work VERY hard to bring our customers the best real estate information and resources in the industry. I am very excited to announce the launch of my newest website, www.CashbackFlorida.com. This website provides consumers with a "one stop shop" to find new home information in Jacksonville and Northeast Florida. As part of our initial launch, we have profiled over 30 new construction home communities in the greater Jacksonville and Northeast Florida area, with plans to cover all of the state of Florida in 2015. What makes CashbackFlorida.com unique would be amount of information provided for consumers. For each and every new home neighborhood that we have profiled, we provide detailed community and area information, including all builder floorplans for all builders, photographs of amenities centers, as well as all homes and real estate for sale. Most other websites limit the amount of information provided to consumers. Consumers will also appreciate the additional resources and information to aide them in their home search. This includes a blog with regular postings about not only new "featured" neighborhoods, but helpful tips to help families who are considering a new home purchase make a more educated decision. In addition, there is the local resources section, with a school reports and community reports section with detailed reports, as well as links to virtually anything and everything fun and exciting in Jacksonville. In addition to new home neighborhoods and helpful consumer resources, the website discusses our 1% cash back rebate program for new construction homes. 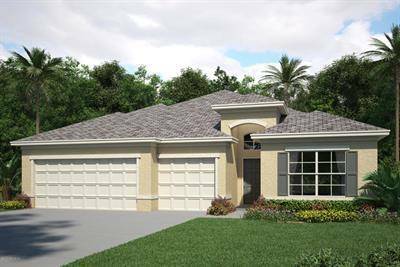 Though this website is a work in progress, it is sure to be a welcomed resource for anyone interested in purchasing a new construction home in Northeast Florida. Please share this resource with your friends, and let me know if I can help your in ANY way! There is a reason our real estate website is #1 in Jacksonville!